Buddhist psychotherapy, also known as Core Process Psychotherapy, is an integrative form of psychotherapy which draws on the wisdom and understandings of Buddhism, together with Western psychological theories and insights. Buddhist Psychotherapy is a one-to-one form of psychotherapy where privacy, confidentiality and client safety are of paramount importance. It is a contemplative approach to psychotherapy which is greatly influenced by traditional and contemporary Buddhist teachings and understanding of the mind. However, it is not a ‘religious’ form of therapy. Indeed, it is a balance between cognitive and analytical process informed by Jung, Pavlov, Klein, Winnicott, Perls, Laing and many others, as well as the spiritual teachings and philosophies of the East. Its purpose is to look at how we are now, in the present moment, and how we express past conditioning. By doing this we can consider transforming our relationship to suffering and our inherent feelings of dissatisfaction or emptiness – thus developing a greater and deeper understanding of ourselves and our relationship/s with others in the present moment of our experience. Buddhist psychotherapy recognises and affirms the ‘core’ – which is the unconditioned, wakeful self (brilliant sanity) and ‘process’ – the way we are in the moment, how we respond to our world from both our unconditioned self and the conditioned self is our process. 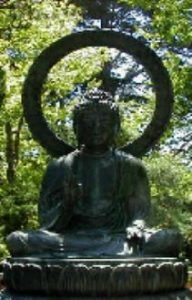 As with many psychospiritual forms of psychotherapy, Buddhist psychotherapy looks at our cognitive, energetic and physical being. It provides an opportunity to work on the many levels of our existence, avoiding fixating on particular aspects, but encompassing all. By looking at ourselves from all aspects, we come to accept, understand and move on with a greater and deeper understanding of self. In this psychotherapy it is our intention that the client will experience their own true health and well-being.